I have made some changes to my antenna set up. 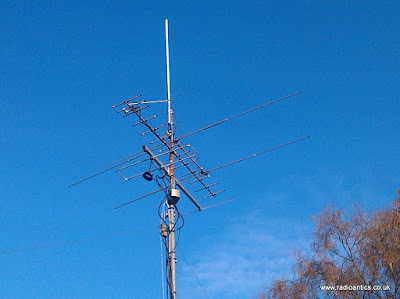 A local amateur was selling a second 13-element 70cm yagi and a 6m HB9CV antenna at a low price so decided to acquire them. The 70cm yagi was to replace the small 7-element one which I pressed into service as a hand held antenna for potentially finding my HAB payloads last year. To be honest I wasn’t really after a 6m antenna due to the size and visual impact. I have a 6m ‘wooden’ moxon I made back in 2014 but it is heavy, ugly and unstable so had been collecting cobwebs in the garage. I decided with the prospect of ‘Sporadic E’ season around the corner I would be foolish not to put it up. The HB9CV wasn’t in the best of conditions but seemed complete albeit it was purchased dismantled. The elements were a little weathered so I set about cleaning them up with a light rubbing down with some wire wool and a rag with a drop of WD40. On closer inspection the tube that made up the front element had some noticeable bending and on removing the plastic mounting to investigate I spotted a crack in the tube wall by the hole for the mounting bolt. The next issue I had to address was the feed point, it came with about six inches of RG58 coax projecting from it where it had simply been cut for removal by the previous owner. I prised off the cover cap to find it full of water, the reason being a hole in the back and it being stored outside I believe. Thankfully the trimming capacitor seemed okay, while it was wet it wasn’t corroded. It was all dried out and the hole plugged with silicon and I set about re-assembling the antenna which was a little fiddly to get the phasing line to sit properly but once done it was a simple matter of adjusting the capacitor to get the VSWR to a minimum in the SSB section of the 6m band. 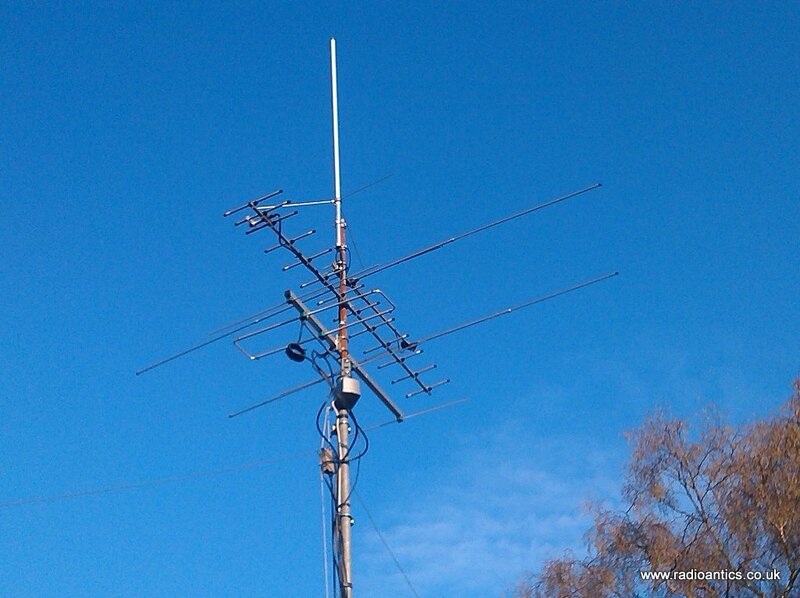 I mounted on the rotator pole just below the X50 collinear. I used it last month in the 6m UKAC and while my operating not exactly earth shattering I was happy with its performance using just 10W in the low power section just “search and pouncing” for a little over an hour. The 70cm Yagi was straight forward as was already assembled, I just had to make a slight tweak to the gamma-matching bar as the VSWR was unexpectedly high around 2:1 in the SSB segment of the band, it seemed to have been tuned for the FM portion of the band. 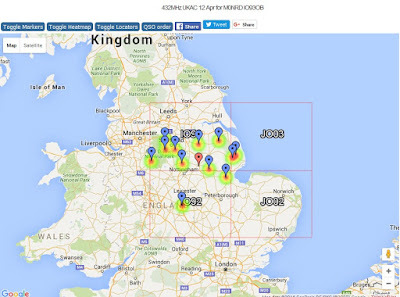 I managed just an hour “search and pouncing” in Aprils 70cm UKAC, I started late and while signal reports both ways were a marked improvement I found the extra directionality and off beam rejection something I will have to get used not helped by a temperamental rotator. 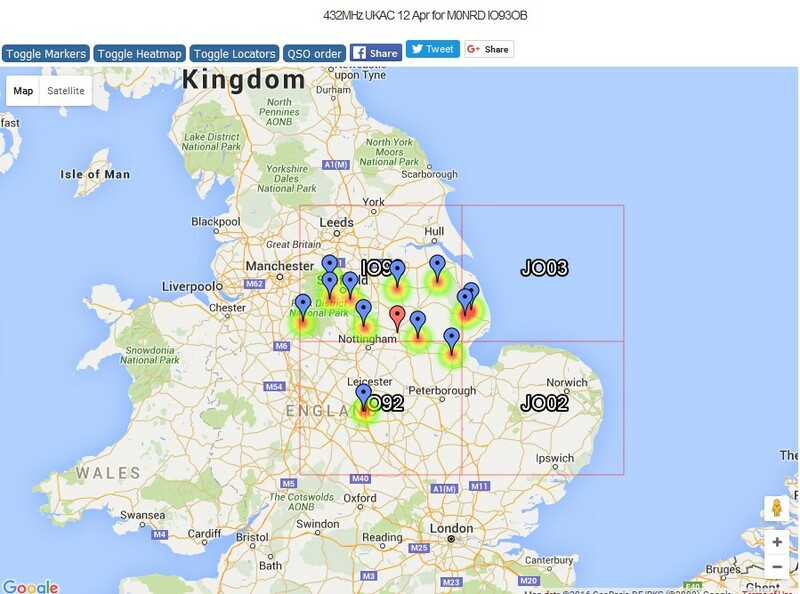 This entry was posted in 6m, 70cm, AmateurRadio.com, ssb, ukac, Uncategorized. Bookmark the permalink.